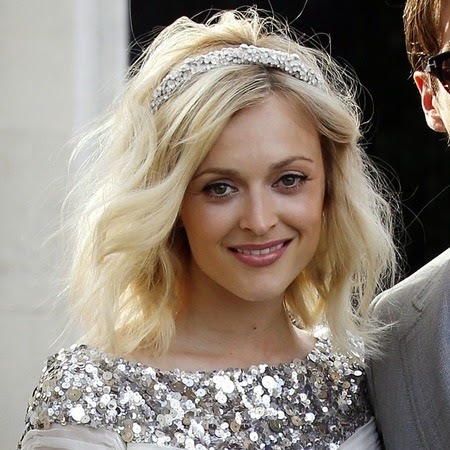 As it's Fearne Cotton's birthday today (Happy Birthday Fearne!) I thought I'd take a look back at some of her hair happenings. 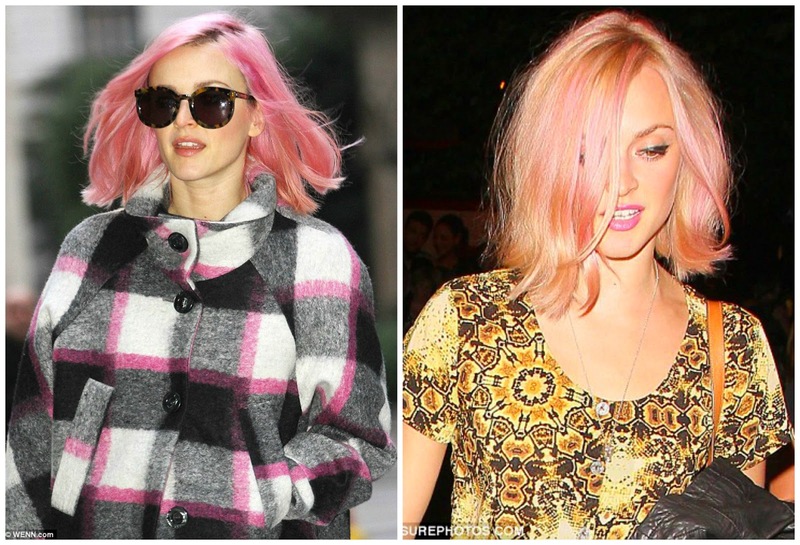 From the bob she's styling up at the moment, to darker longer lengths, Fearne hasn't had that many hair 'shockers' I've usually ended up with serious hair envy when it comes to Fearne's follicles. First up, Fearne was on screens as a teen, mainly on kids TV, her hair was long and pretty simple. Think this was definitely around the ghd launch days. I too had the ultra straight hair, ironed close to the head. Then there was the heavily layered mullet look, which I too, followed, thanks to Toni & Guy. Not convinced on the red peek-a-boo slices if I'm honest though. And check that denim skirt, pigtail combo! 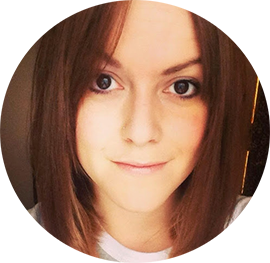 Keeping it long for a while, Fearne went for little style changes with a full fringe and sweeping side fringe. Very Bardot in the picture on the right! Not sure if the voluminous blowdry suited Fearne's petite features though. 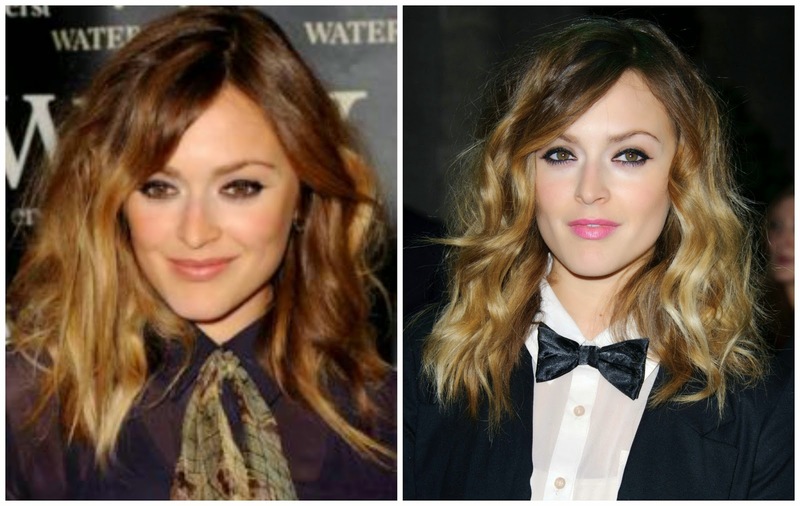 Fearne was one of the first celebrities I remember going for the balayage/ombre trend, I really liked the darker style with blonder ends and think the shoulder length style suited Fearne perfectly, especially worn in messy waves with texture. When Fearne chopped her hair, it seemed to change her style, becoming a lot more individual and I love her outfits of late, taking inspiration from the 60's, 70's and my favourite 20's. And her hair styling has shown that shorter hair can be incredibly versatile. Even changing it up with a pink rinse.